Seven Bridges said today it has invested an undisclosed amount into Spatial Transcriptomics, a startup developer of technology designed to analyze tissue samples and gene expression data in two dimensions. Seven Bridges termed the investment a first step in building a strategic partnership aimed at advancing the development of Spatial Transcriptomics’ tools for visualizing gene expression within tissue samples, and making those tools available on Seven Bridges’ biomedical analysis platform. According to Seven Briges, making Spatial Transcriptomics technology available on its platform later this year will enable users to analyze their own gene expression data in conjunction with The Cancer Genome Atlas (TCGA), the Cancer Cell Line Encyclopedia, and other large data sets. Seven Bridges says its cloud-based platform allows for rapid, collaborative analysis of millions of genomes in concert with other forms of biomedical data. The company’s platform is used by researchers accessing three of the world’s largest genomics projects—the Cancer Genomics Cloud pilot of the NIH’s National Cancer Institute; the Million Veteran Program; and Genomics England’s 100,000 Genomes Project. 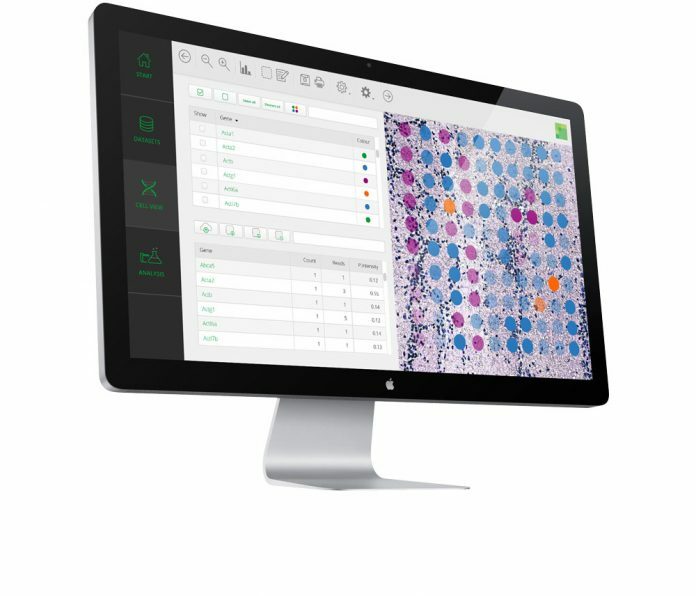 Spatial Transcriptomics’ technology is designed to help researchers better understand how gene activity impacts human health at the cellular level, through a spatial approach allowing detailed mapping of gene activity within thin sections of various tissues, from humans, animals, and plants. According to the companies, researchers can use Spatial Transcriptomics’ technology to investigate gene expression dynamics, and the implications of those dynamics on human health, more quickly and at a fraction of the cost of other methods, such as single-cell sequencing. “Our relationship with Spatial Transcriptomics will help their technology reach more scientists via the Seven Bridges Platform, which aligns with our goal to make leading-edge bioinformatics tools more accessible and useful to researchers around the globe,” Seven Bridges CEO Brandi Davis-Dusenbery, Ph.D., said in a statement.